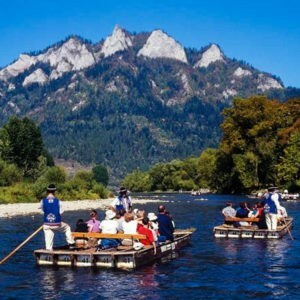 Traditional Rafting on the Dunajec River is the most popular attraction in the Pieniny Mountains. In the Middle Ages rafts were used to transport the goods, which were most often transported from Hungary and for safety further floated by the Dunajec and then Wisla river – to Sandomierz, Warsaw, Toruń and even to Gdańsk. In the 19th century, the creator of the spa in Szczawnica, Józef Szalay, popularized the tourist version of the Dunajec Rafting. Since 1932, Polish rafters have been affiliated with the Polish Association of Pieniny Rafters, which up to this day ensures that rafting is carried out in accordance with tradition. 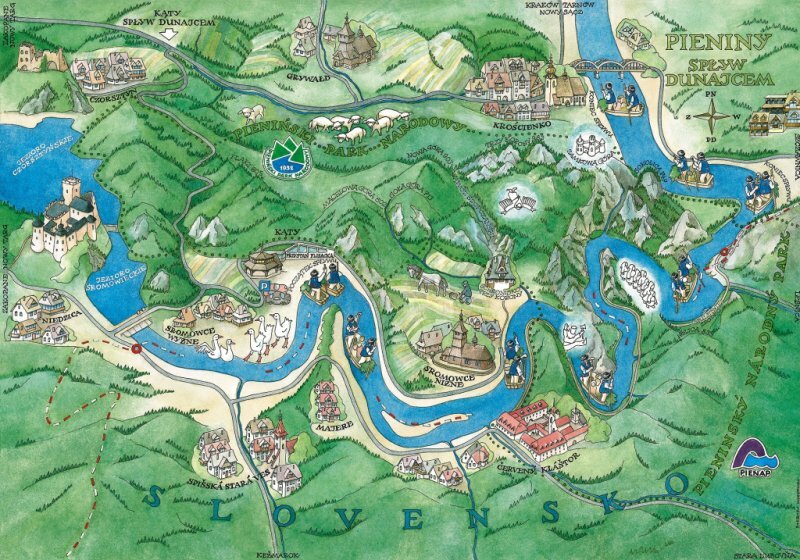 How does the Dunajec Rafting look like with Szewczyk Travel?? …and get on rafts – rafting ends at the marina in Szczawnica (here restaurants, souvenirs, etc.) – 15 minutes walk to the center. After raft – a 20% discount on the PKL chairlift to Palenica.